Is $199 the right price for tablets? Preliminary results are in from Betanews poll: "What price would be low enough for you to buy a media tablet?" For the majority of respondents (30 percent), $199 is the price. Only about 5 percent of you would spend more than $299. Not that Apple seems all that perplexed about selling tablets ranging from $499 to $829. But perhaps it should be now that Amazon has lowered the price bar to $199 with Kindle Fire. We have long maintained that media tablets are additive devices, not replacements for PCs, and that’s why media tablet vendors, aside from Apple, have had trouble selling units at $500 and higher. By pricing the Fire below $200, Amazon gives cash-strapped mainstream consumers permission to own a third device (PC, phone, and now tablet) without having to justify its cost by attempting to use it to replace their PC. At that price a tablet can just be a tablet: A device that’s quite good at consuming media, writing short emails, and Web browsing. Prices have got to come down, as our survey suggests. Twenty-nine percent of respondents to our poll would pay $149 or less and 59 percent $199 or less. As I post, we have 665 responses, which is decent but not nearly enough. So I'm reposting the poll and asking you to respond if you haven't. By the way, and I'm surprised by this, only 4 percent of respondents answered: "None, I wouldn't buy a media tablet". "It's a win for Amazon", rebradley comments. "I ordered several Kindle Fires as Christmas presents. Amazon has deep pockets and will reap much more than its loses on hardware very quickly. Another brilliant move by Amazon". I ordered one for my wife. She got Kindle for Christmas last year; Fire on December 25. Betanews reader fulltext (what's the story behind that handle) "pre-ordered a Kindle Fire" too. "It will hold me until 2nd gen Windows 8 tablets are out". What? Did you get one of the Samsung Windows 8 Developer tablets during BUILD? Should that be first-generation otherwise? Even $199 is too high for VampireFrost: "I am going to wait and let everyone buy high and then when they hit $99 I will get 2 that are newer and better". For 11 percent of our poll respondents, $99 or less-than $99 is the right price. What price would be low enough for you to buy a media tablet? 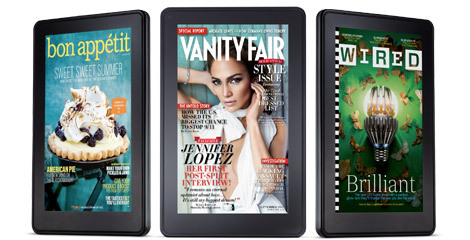 The question: Will Kindle Fire set a price war ablaze? If you look at the majority of tablets now available, they offer comparable capabilities -- and all priced well above $299, which, based on early results to our poll, is top-end of acceptable pricing. For any product category, there is always a tipping price that moves from early adopters to mass-market buyers. Something south of $299 is it, with $199 magical I believe -- and that's particularly true if Mainelli's assessment is accurate about how tablets are used. Gartner and IDC data already shows that tablets are taking sales away from PCs. But it's one thing to delay or choose not to buy a new PC, and it's altogether different to replace it. But people do. During BUILD, I sat next to another journalist who used the ASUS Transformer with keyboard. Is he the exception or the rule? The answer to that question is vital to understanding what Fire's $199 pricing means for the broader tablet market. People looking to replace a PC with a tablet will need more performance and features than Fire or other low-cost tablets can offer. So, I ask again: What would you pay for a media tablet? But add a second question: Do you or would you use a tablet as your primary PC? Please answer in comments.